Pirozhki (piroshki), belyashi (беляши), however you prefer to call them are a popular hand food well known for it’s appealing shape and different fillings. 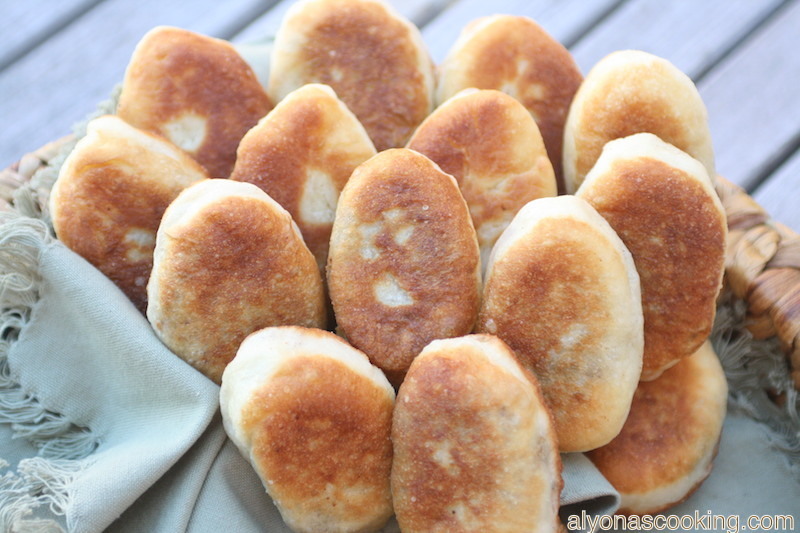 Piroshki are usually made from a yeast dough that can be stuffed with a wide range of different fillings and then fried until fluffy and golden. These happen to be very popular through out the Slavic culture and are sold in places like flea markets to Russian cafe’s. 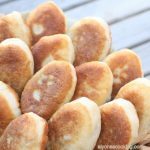 Make these absolutely delicious piroshki right from home!The ladies from my local church organize a small group to help mothers after the birth of their child. There task is to bring meals for about a week or more until the mother recovers from the delivery (God bless there good hearts!). So after the birth of my son one of the ladies brought these absolutely amazing piroshki over with such an interesting filling. I couldn’t stop eating those small piroshki she made, they were so good! 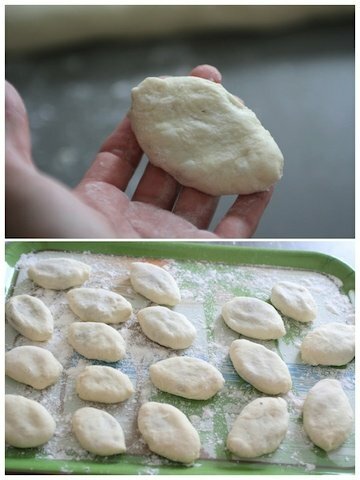 I asked her for the recipe and she was so kind enough to give me tips and detailed instructions how to make these piroshki. I highly recommend to invest in a bread machine if you don’t have one yet, as the dough comes out REALLY fluffy! But if you don’t own one, no worries a stand mixer will do. 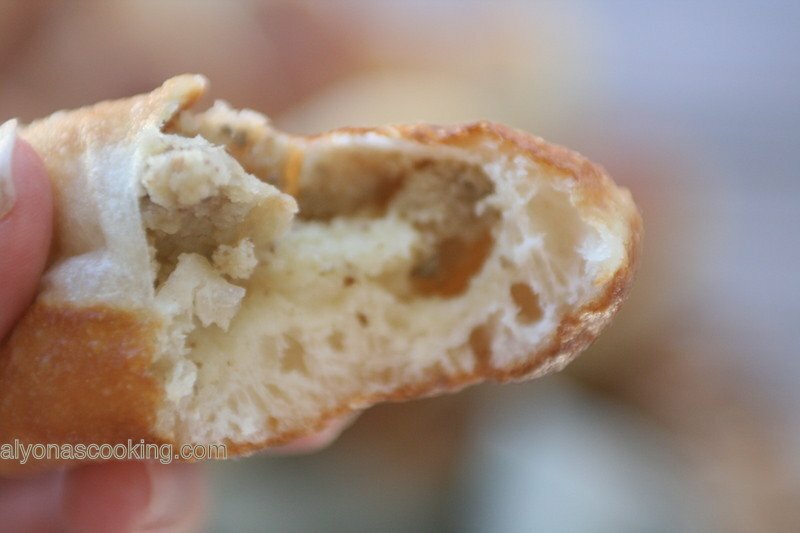 These piroshki are filled with a mashed potato and liver combination. I know, that may not sound so appealing, but trust me when I say they are incredibly delicious! 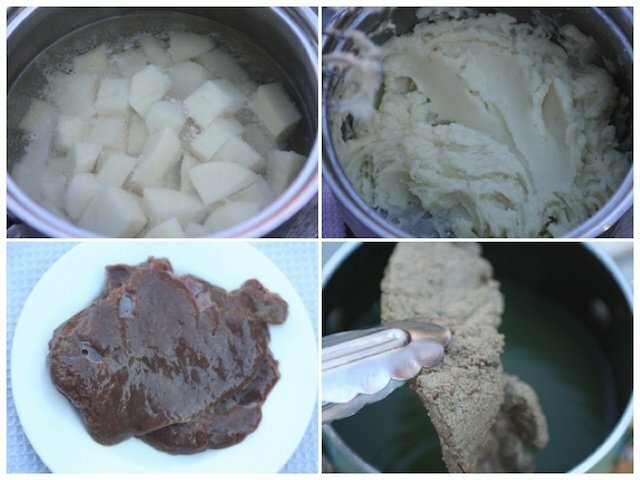 I don’t really like liver alone as it is but with mashed potatoes it mellows out beautifully, leaving you with just a hint of something interesting. Plus liver is very high in iron so it’s really good for you. I really hope you may give these a try even if you don’t really like liver because these are delicious. I love that these piroshki are very small, creating a decent size pirogh to enjoy. 1.) 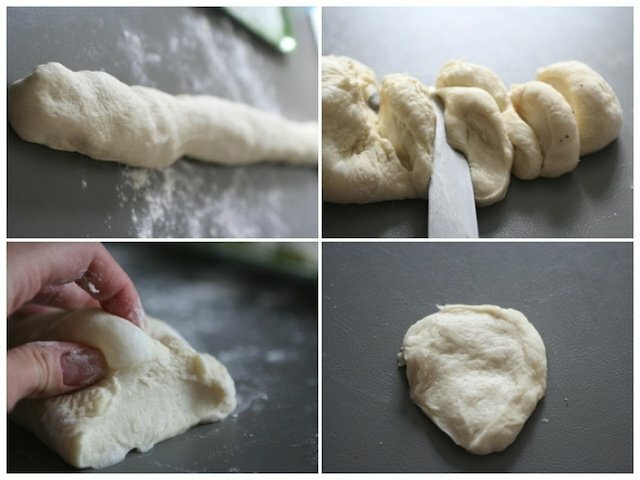 Throw all the dough ingredients (except for the yeast) into a bread machine; select dough settings and push start. Once dough comes together sprinkle the yeast over the dough and let it do it’s thing. Peel, wash and cube the potatoes. Place into a medium sized sauce pan and cover with water; bring to a boil and simmer for 25 minutes. When potatoes are done drain and add 3 tbsp of unsalted butter and the salt; mix to combine well. 2. While potatoes are cooking rinse the liver and bring a small sauce pan to a boil. Once water has boiled add the liver and simmer for about 10-15 min. 3. Once the liver has cooked, run the liver through a meat grinder and set aside. 5. Add the grinded liver to the onion sauté and 1 tbsp of butter. Sauté an additional 2 minutes; add to the whipped potatoes and mix well. Set filling aside to cool. Once dough has risen remove and transfer onto a lightly floured surface. 2. Form dough into a 34″ long log. Cut about 1/2″ thick slices. Cover dough so it won’t dry out while your working with the dough. Do you see that big air bubble on top? I highly advise a bread machine the dough comes out very soft! 5. When you are about half way through forming the piroshki heat 1 cup of oil in a large cast iron pot over low heat. 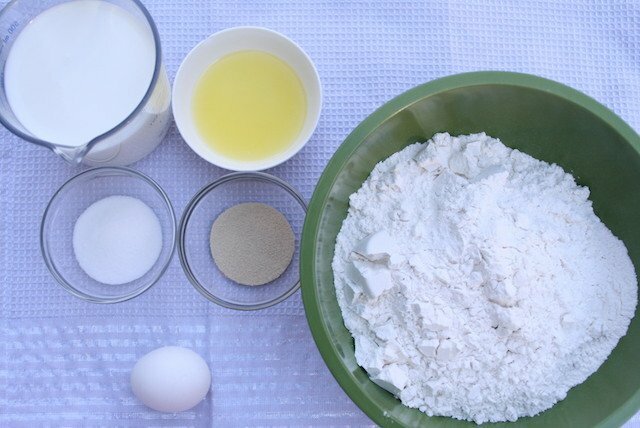 Continue working with the remaining dough, while oil is preheating. 6. 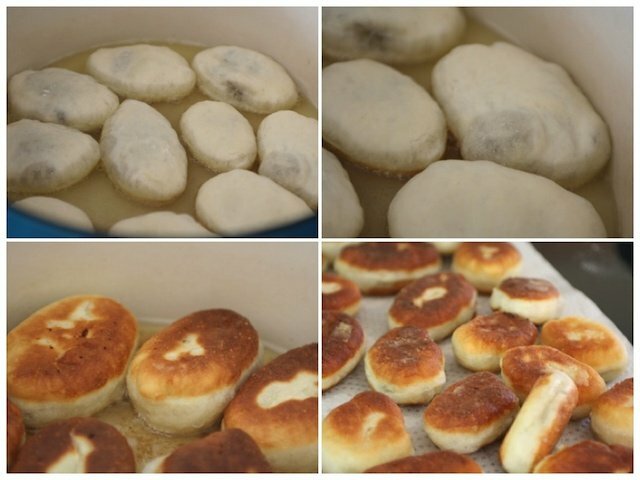 Place filled piroshki into the cast iron pot and cover for 3 min. Make sure your heat settings are on low otherwise they may burn fast. After 3 min uncover; flip and fry uncovered for an additional 2 min; remove unto paper towels. Cast iron heats oil pretty evenly I would say, but if using a different skillet the temperature setting may vary. Pirozhki (piroshki), belyashi (беляши), however you prefer to call them are a popular hand food well known for it's appealing shape and different fillings. 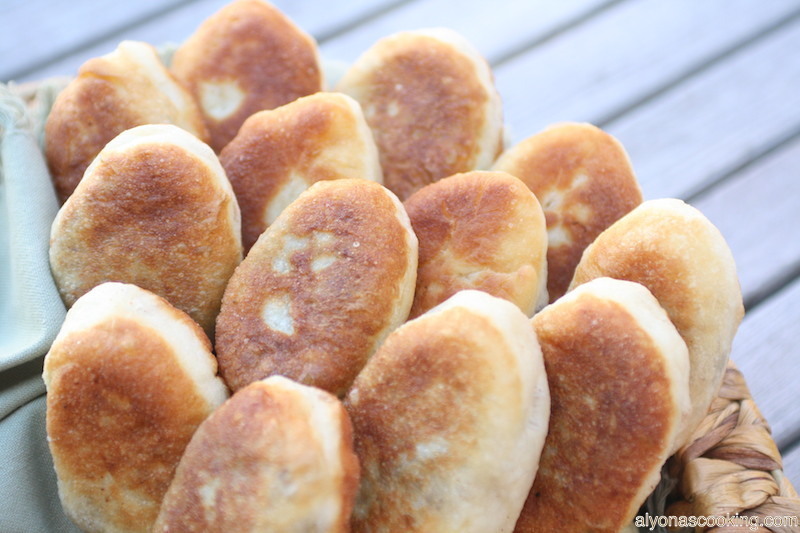 Piroshki are usually made from a yeast dough that can be stuffed with a wide range of different fillings and then fried until fluffy and golden. 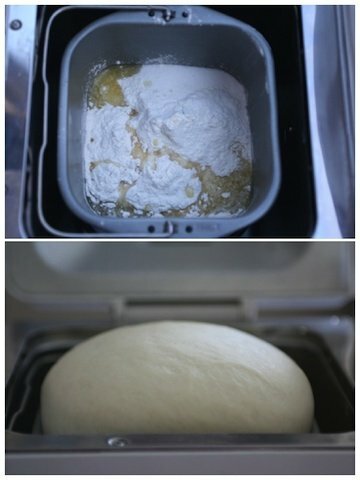 TO MAKE THE DOUGH: Throw all the dough ingredients (except for the yeast) into a bread machine; select dough settings and push start. Once dough comes together sprinkle the yeast over the dough and let it do it's thing. TO MAKE THE FILLING: Peel, wash and cube the potatoes. Place into a medium sized sauce pan and cover with water; bring to a boil and simmer for 25 minutes. When potatoes are done drain and add 3 tbsp of unsalted butter and the salt; mix to combine well. Once the liver has cooked, run the liver through a meat grinder and set aside. Add the grinder liver to the onion sauté and 1 tbsp of butter. Sauté an additional 2 minutes; add to the whipped potatoes and mix well. Set filling aside to cool. 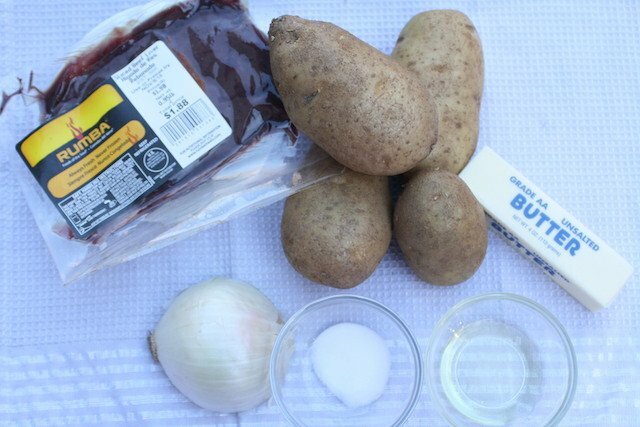 While potatoes are cooking rinse the liver and bring a small sauce pan to a boil. Once water has boiled add the liver and simmer for about 10-15 min. 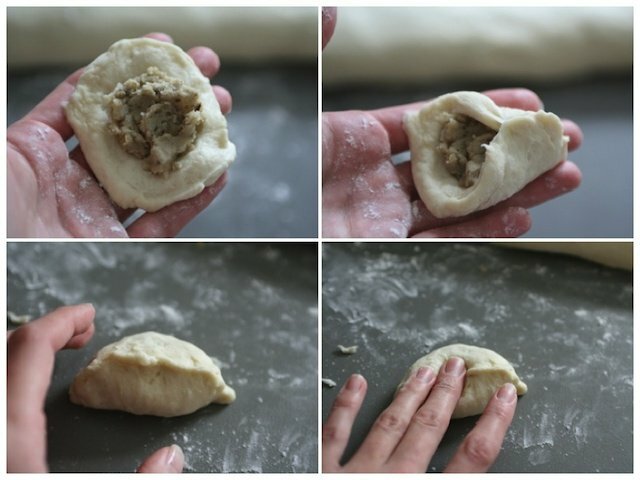 TO MAKE THE PIROSHKI: Once dough has risen remove and transfer onto a lightly floured surface. Form dough into a 34" long log. Cut about 1/2" thick slices. Cover dough so it won't dry out while your working with the dough. 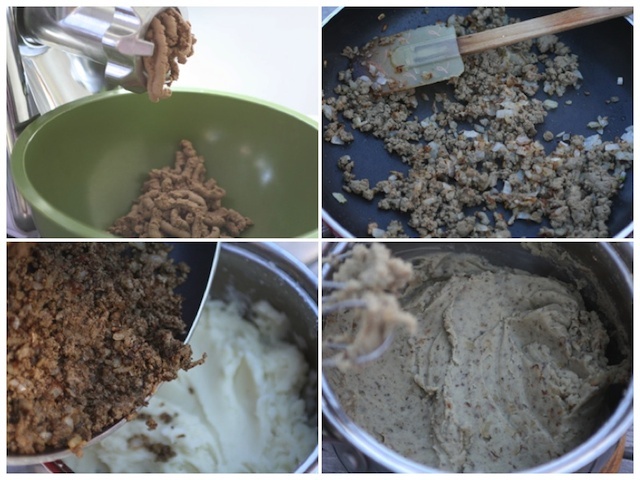 Place one heaping teaspoon of filling into the flatten disk and pinch top to seal filling. Slightly flatten the sealed dough and shape into an oval shape. Place seam down onto a lightly floured tray. When you are about half way through forming the piroshki heat 1 cup of oil in a large cast iron pot over low heat. Continue working with the remaining dough, while oil is preheating. 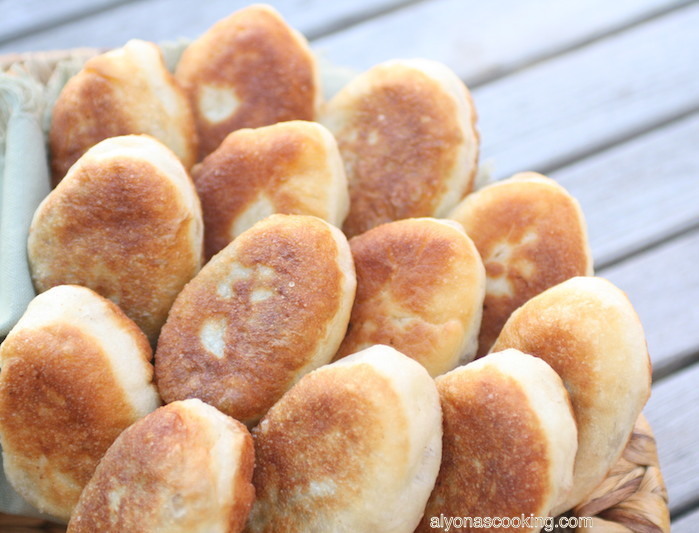 Place filled piroshki into the cast iron pot and cover for 3 min. Make sure your heat settings are on low otherwise they may burn fast. After 3 min uncover; flip and fry uncovered for an additional 2 min; remove unto paper towels. Can I freeze extra dough to thaw and make more peroshkis later? I’m not sure if freezing the dough for piroshki is a good idea but to be on the safe side just half the recipe if the amount is too much for one time.